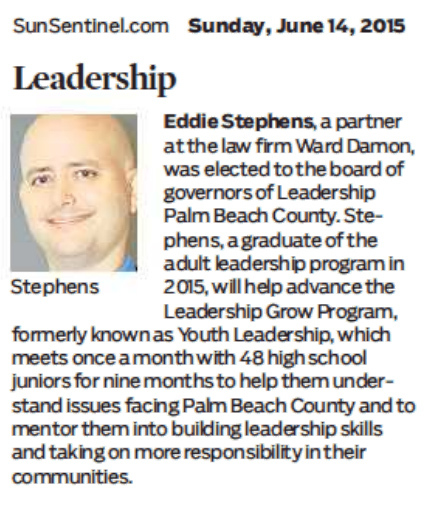 WEST PALM BEACH, Fla. (June 4, 2015) — Eddie Stephens, a partner at Ward Damon, a multi-disciplined law firm serving South Florida, was elected to serve on the Board of Governors of Leadership Palm Beach County (LPBC). Leadership Palm Beach County is a nonprofit organization that brings together leaders from public, private and nonprofit sectors to build an energetic, unified community. As a new board member, Stephens’ focus is to help advance the Leadership Grow Program, formerly known as Youth Leadership. The Leadership Grow program, which meets once a month for nine months, enables high school juniors to understand the critical issues facing Palm Beach County. It also encourages them to expand their leadership roles and build a foundation of community involvement that will develop throughout their lives. Each year, only 48 high school juniors are accepted and are provided unparalleled access to leaders from areas business, government agencies and civic organizations. LPBC is a unique 10-month experience that grants class members uncommon access to influential people and significant sites throughout the county as well as hands-on experience with major local industries and community issues. The Adult Leadership Program exemplifies LPBC’s mission to identify and unite diverse leaders in order to increase understanding of countywide issues and improve participants’ ability to lead effectively. Stephens was one of the 50 graduates from the LPBC Class of 2015, which is the 31st class of local leaders to complete the program. These graduates now join a network of over 1,100 distinguished alumni making a difference in the local community. As part of the LPBC program, class members select civic engagement projects that utilize each class’ capacity to address the needs and goals of nonprofit organizations in Palm Beach County. Stephens was part of “Project Catsnip” whose charge was to promote Peggy Adams Animal Rescue League’s “Countdown to Zero” initiative, an effort to eliminate the killing of adoptable animals by the year 2024. For more information on Project Catsnip, visit http://projectcatsnip.org/. Ward Damon, PL is an AV rated, multi-disciplined law firm serving the legal needs of its clients and community since 1987. 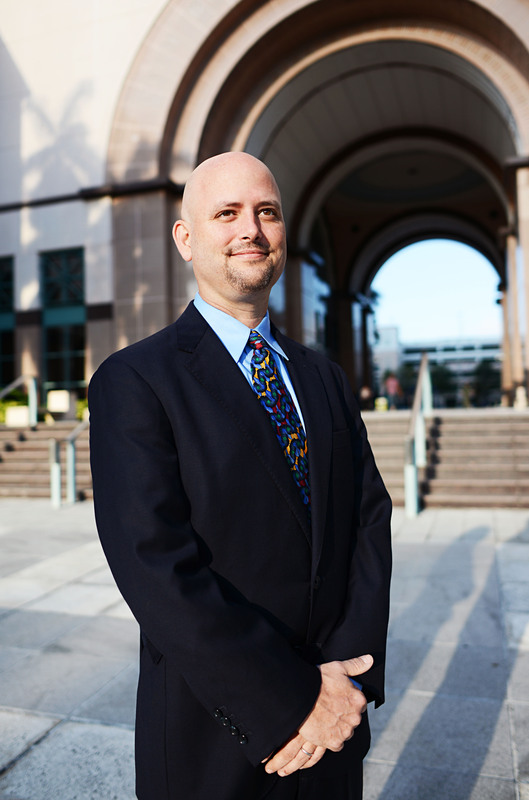 Ward Damon represents businesses and individuals through legal counseling, transactional work and litigation in federal and state courts. The firm has offices in West Palm Beach, Boca Raton, Jupiter and Stuart. For more information, visit www.warddamon.com or call 561.842.3000.